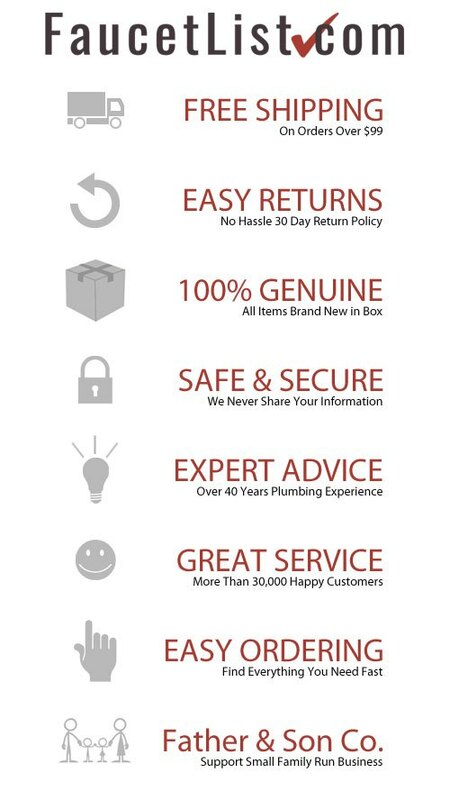 At FaucetList we have over 40 years experience in the plumbing industry. Delta Shower Systems are some of our best selling products but we know they can be a little tricky to set-up. There are many components that are required to build a complete Shower System. 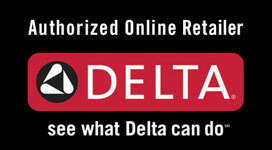 For example, this particular package includes 11 individual Delta products. We have included all the necessary Rough-in Valves and component pieces to make package fully ready to install. Order this item and get everything required to have your Delta Shower System up and running. Make things easy! Don't spend hours hunting down each little piece separately. Order from us and get everything you need from one place with just a few clicks! The 3-Setting Shower Diverter Handle Control with Delta R11000 Universal Diverter Rough-In Valve allows you to create a custom Delta Shower system. The Diverter Valve sits in between your main shower mixing valve and your peripheral shower system sprays. The Diverter sends water to the different shower sprays. The different settings allow you to choose which sprays will be on at any given time. With 3 settings you have 2 individual positions and 1 shared position. This means you can run either shower system individually or both together at the same time. Note: Wall Mount Body Sprays count as one Shower System Spray. All the Body Sprays will be powered off the same Diverter port and will either all be on or all be off. They will function as a unit and must be plumbed as such. 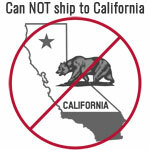 Our goal here at Faucetlist.com is to make buying Shower System Hardware easy. Purchase this Delta Shower System today and save BIG! Delta Shower Systems represent cutting edge, precision design, and incredible prices! Get an amazing product at a great price! Order everything necessary to get your Complete Custom Shower System ready for use. 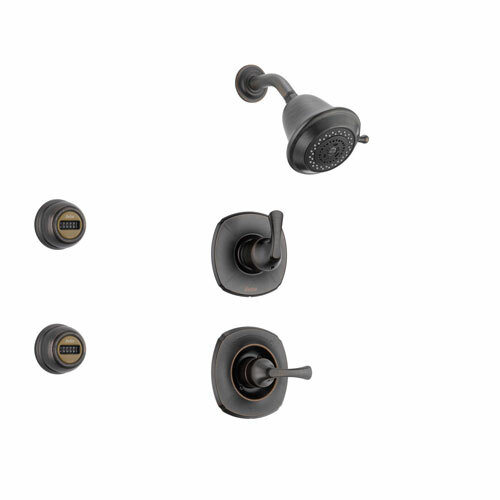 Buy this Delta Addison Venetian Bronze Shower System with Normal Shower Handle, 3-setting Diverter, Showerhead, and 2 Body Sprays SS149285RB Now! INCLUDES: Delta Addison Collection Normal Shower Mixing Valve Handle with Delta R10000-UNWSHF High Flow Rough-in Shower Valve. This package is specifically designed to ensure adequate water pressure for all Shower System Sprays.